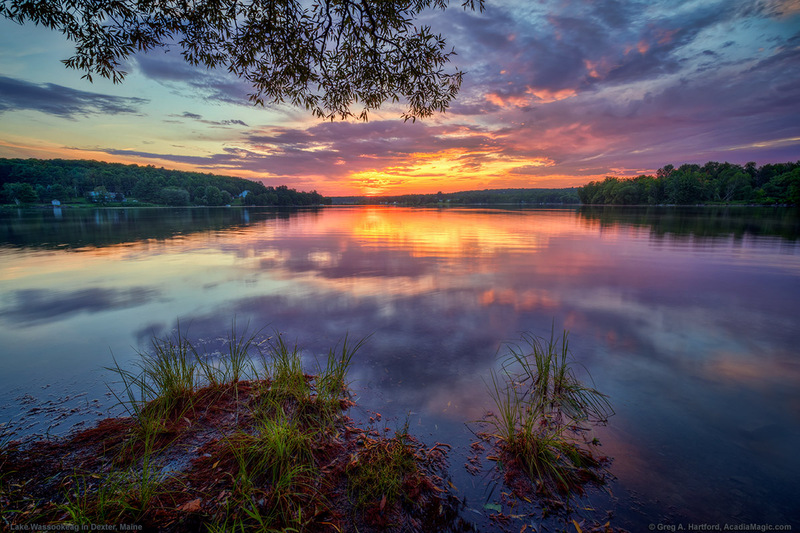 There are many great placess to view sunrises and sunsets at Lake Wassookeag in Dexter, Maine. This was taken early August from the eastern shore of Little Lake Wassookeag next to the All Season Terrain Trail. The trail was created where there once was railroad tracks that went from Newport to Dover-Foxcroft to the north in Piscataquis County.